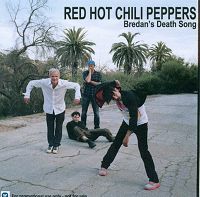 The song Red Hot Chili Peppers - Brendan's Death Song is professional recreation. It is not by the original artist. Brendan's Death Song Red Hot Chili Peppers Your browser does not support the audio tag. By The Way Red Hot Chili Peppers Your browser does not support the audio tag. Dani California Red Hot Chili Peppers Your browser does not support the audio tag. Look Around Red Hot Chili Peppers Your browser does not support the audio tag. The Zephyr Song Red Hot Chili Peppers Your browser does not support the audio tag.